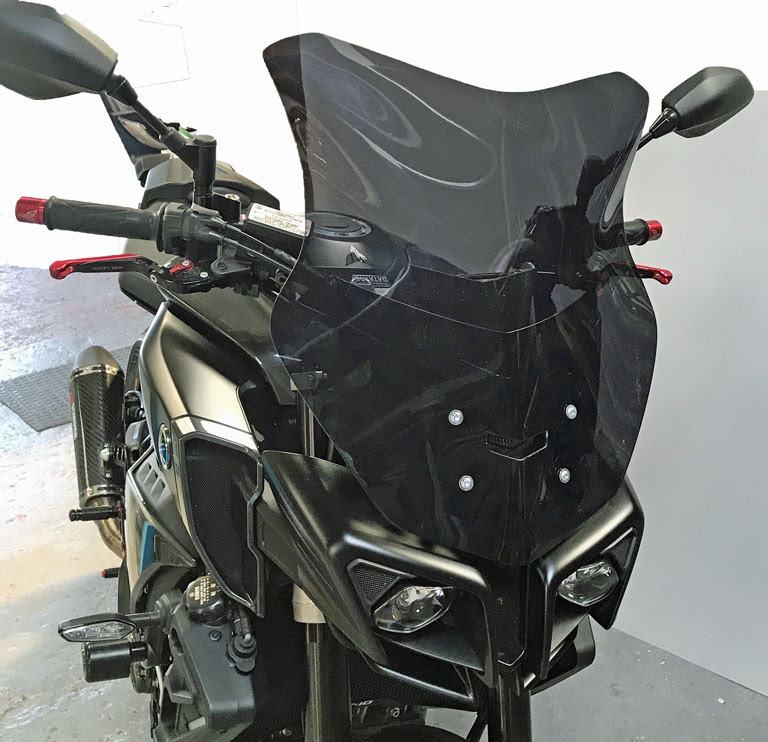 British bike bodywork specialists Skidmarx have introduced a sports fly screen and larger touring screen for the Yamaha MT-10. A popular addition to naked bikes, the Sport Fly Screen is specially shaped to deflect wind and weather away from the rider. Compact - at just 330 x 330 mm - it is designed to blend in with the MT’s aggressive, streetfighter styling and retails at £59.95 including VAT. The Tall and Wide touring screen measures 440 by 390 mm, shielding the rider from the elements for a more relaxing ride over long distances. It sells for £79.995 inc. VAT. 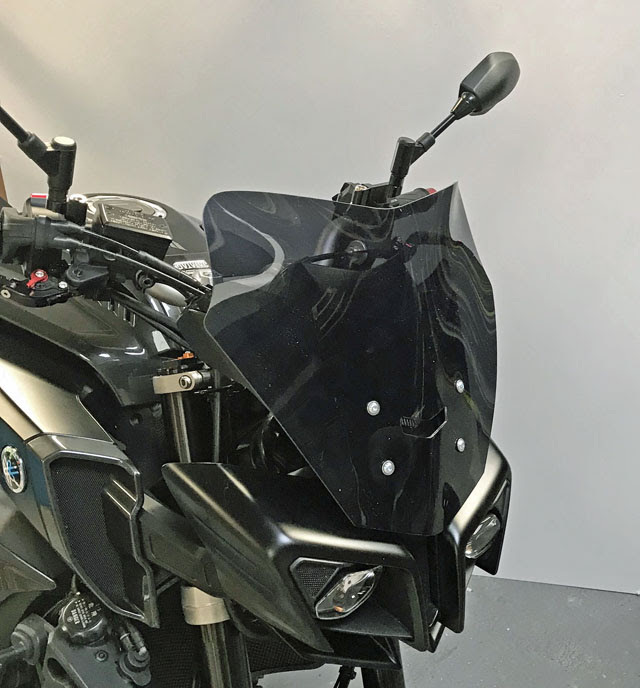 Both screens are made in the UK from 4 mm cast acrylic, come in a choice of Clear, Light Grey and Dark Grey tints and attach to existing mounting points above the headlights for a quick and fuss-free fit. Call Skidmarx on 01305 780808 or visit www.skidmarx.co.uk for details.